The Coffee Club at Rouse Hill and Castle Towers in Sydney's west have recently commenced using Abcom's LabourGuard intelligent time clock systems. 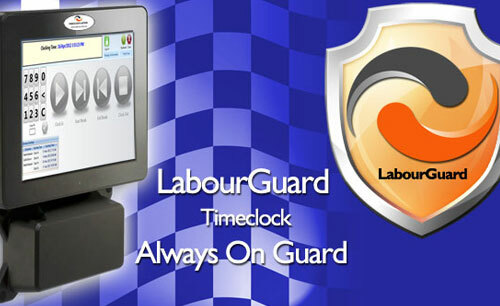 Abcom's LabourGuard intelligent time clocks have internet connectivity and at the end of each payroll period transmit all employee clockings to Abcom's secure server. The payroll administrator for Coffee Club Rouse Hill and Castle Towers can then securely retrieve employee clocking activity for the previous week without leaving the office and without needing to contact either of the Restaurants. LabourGuard dramatically improves the accuracy and reduces the cost of the whole payroll administration function. Data is captured and electronically fed into the Abcom Payroll system with its unrivalled automated interpretation of Australian Awards and Workplace agreements. No more difficult-to-read faxed time sheets with handwritten and often illegible clockings. An Abcom Sales spokesperson said, "With LabourGuard's overtime defence engine, the owner of these Coffee Club franchises can be assured that costly and unnecessary overtime and penalty payments are legally avoided." In the coming weeks, both Coffee Club Restaurants will commence integrating Abcom's world-renowned Quick Service Restaurant Management Software, eProphet.NET's Scheduling and Daily Labour Control modules, to further enhance their Quick Service Restaurant operations. With the integration of the Scheduling Module, restaurant operations will have that added assurance this software provides, by ensuring employees start shifts, take breaks and finish shifts when required.